Dr. Michael T. French and colleagues have launched this site to provide researchers, academicians, substance abuse treatment providers, and policymakers with access to the Drug Abuse Treatment Cost Analysis Program (DATCAP) and related instruments. DATCAP.com is also intended to promote the science of economic evaluation of addiction treatment through the sharing of proprietary instruments, working papers, and published research. The Drug Abuse Treatment Cost Analysis Program (DATCAP) is a cost data collection instrument and interview guide designed to be used in a variety of medical treatment and social service settings. The instrument is intended to collect and organize detailed information on resources used in service delivery and their associated dollar cost. Resource categories include personnel, supplies and materials, contracted services, buildings and facilities, equipment, and miscellaneous items. The instrument also collects information on program revenues and client caseflows. 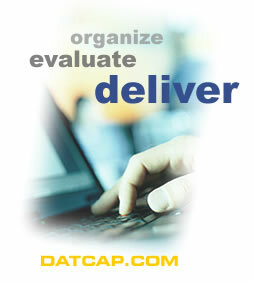 The DATCAP instruments are available for download in four separate versions, each available in a choice of Acrobat PDF and Microsoft Excel formats. The PDF-format is intended to view or print the instrument; the Microsoft Excel (XLS) format is a spreadsheet intended for data entry and results analysis. For more information on each version, select the link of the requested instrument or proceed directly to downloads. Copyright © Dr. Michael French, University of Miami, 2003-2004. For comments or questions regarding this site please email the Webmaster.